Tuscany’s second city is a worthy rival for Florence in the beauty stakes, with its stunning central piazza, grand towers and wealth of art treasures. 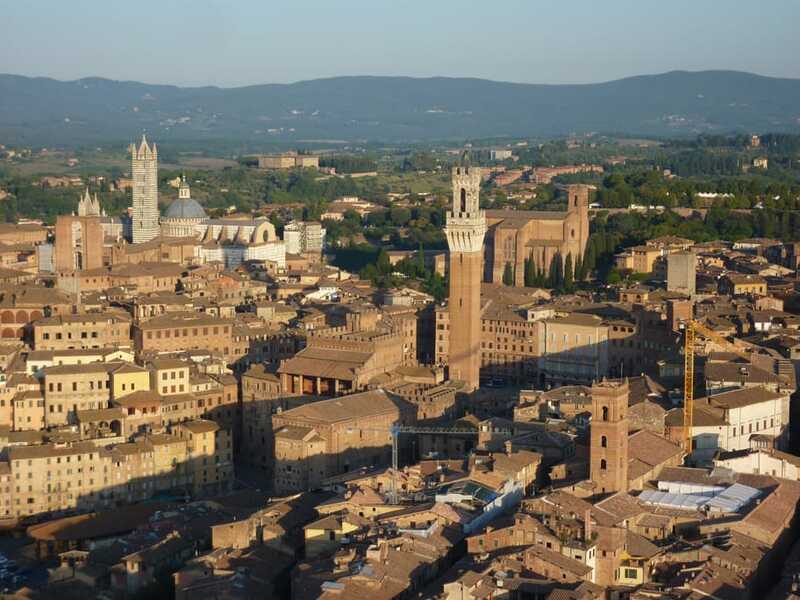 Flying from one of our three launch sites around the city, the wind could take you over Siena itself, with its beautiful medieval buildings. Keep an eye out for the stunning Duomo and a second, unfinished cathedral which would have been the largest in Italy if construction had not been abandoned following the great plague of 1348. To the north lies the famous Chianti wine region, its landscapes dominated by vineyards and woodlands dotted with castles and pretty villages. A wind heading south could take you over the Crete Senesi lowlands and Siena’s rolling red and grey hills, with Monte Amiata in the distance. 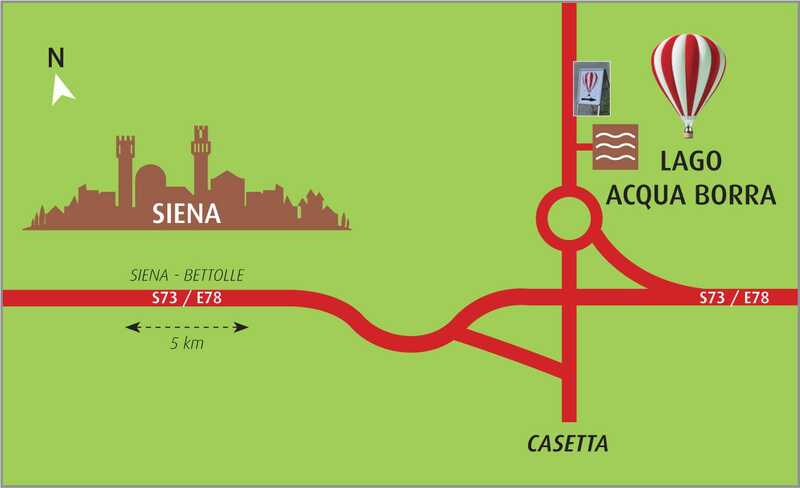 Our meeting point is a small parking area just off the Casetta-Monteaperti junction on the SS73/E78, just east of Siena itself. From there, our pilot and crew will take you to one of our three local launch sites, chosen to offer the best flight for the weather conditions. Please ensure you arrive at the meeting point on time, as it is not usually possible to delay the launch of our flights if you are late. Mobile phone signal in the area is patchy at best and you may not be able to contact our pilot should you be running late. If you miss your flight we would try to fit you in to a flight one of the following mornings, subject to available spaces.